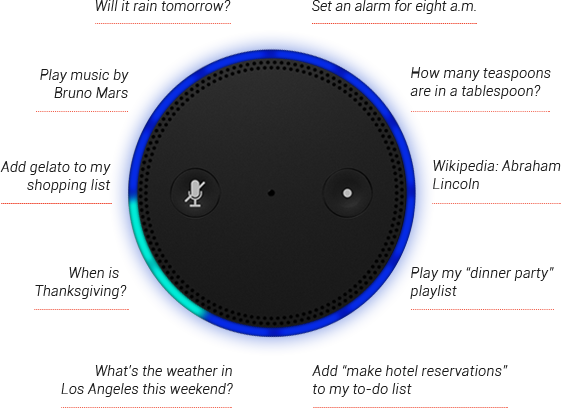 Amazon Echo: Is Privacy Dead? Amazon decided to surprise everyone with the announcement of the Amazon Echo – a talking, listening piece of electronic furniture. Say what? Akin to Siri and Google Now, this cylindrical speaker is always ready to answer any questions. 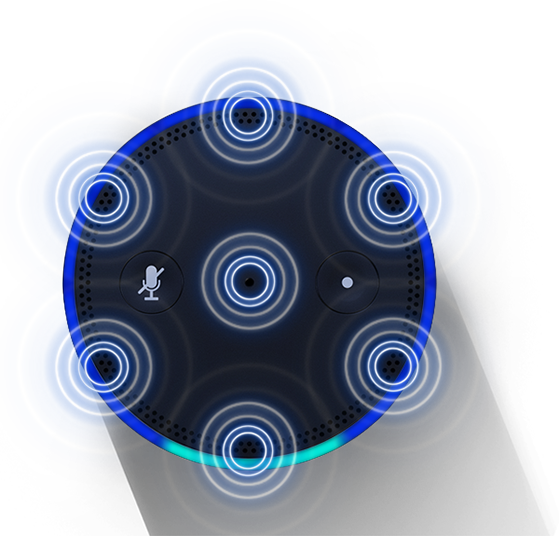 It uses advanced far-field voice recognition, utilising an array of 7 microphones in order to detect your spoken commands even when music is playing and you’re across the room from the device. It’s also apparently a great sounding speaker to fill up your room with music. In the mood for some Black Keys? Just say “Alexa, play music by Black Keys”. Or at least, that’s how I think it works. Neat features include the fact that Echo stores all its information in the Amazon cloud, learning from its environment and the commands you give it, in order to become “smarter”. It learns to understand your speech patterns, preferences etc. Amazon also says that because the brain is in the cloud, new features and updates can be added automatically as they expand the feature set for this piece of smart furniture. 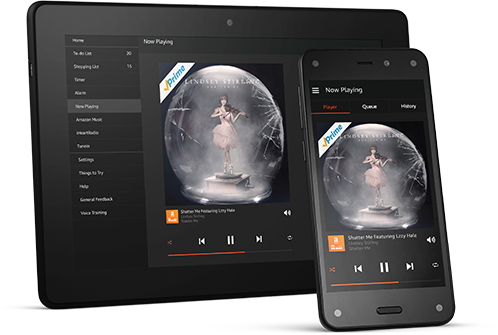 Something we are excited about is the Bluetooth capability, meaning you can stream music from your phone to the speaker. 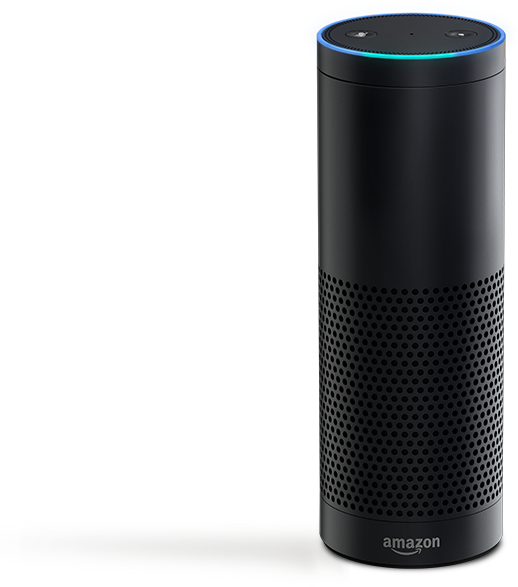 Also comes with an Amazon Echo app, so you can keep on organising everything out and about. Call us optimistic, but we really wish for this to succeed. Smarter homes are something high on our list of things we hope for. 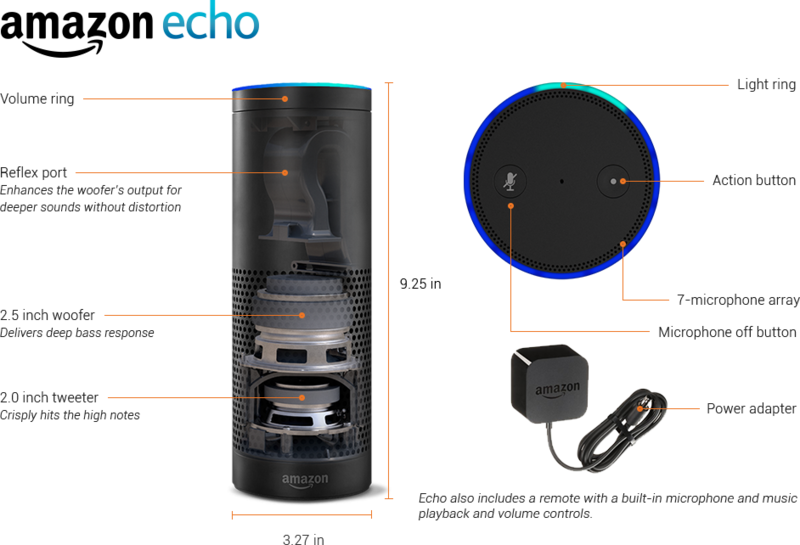 Amazon Echo – A great start to the internet of things revolution. There have been similar attempts to create something like this, but never before with the backing of a huge company like Amazon, with the underlying infrastructure to support the device. If Amazon pulls this off, we may very well be on the cusp of having your house “plugged” into the internet, with an always on “brain” waiting at your beck and call. But alas, don’t think Amazon just wants to give you a cool speaker that answers questions. No. Think about their business model – selling you anything. Analyse your unique speech pattern. This can give them information on your age, emotions, number of people in your house. Analyse your purchasing patterns. What do you buy and when? Analyse your content consumption patterns. What do you listen to? What do you like watching? All valuable chunks of data that the Amazon armada of data analysts and supercomputers can use to further decode YOU. But maybe the trade-off isn’t all bad. You have the full Amazon inventory at your disposal, literally only words away. They will go from Amazon One-Click to Amazon No-Click. “Alexa, order me A Call to Arms by Hemingway”. Done. Add to Cart. Amazon will become omnipresent, always floating in the air, just waiting for you to want something.